A Supreme Court bench comprising of Chief Justice H.L. Dattu, Justice A.K. 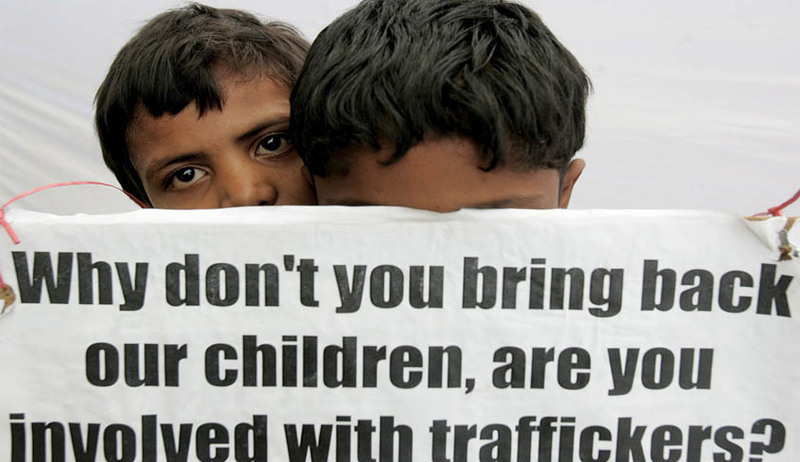 Sikri and Justice Arun Mishra directed the Bihar and Chhattisgarh Governments to trace the missing children in their States within a month. It said that it would take two states at a time to examine whether they have complied with its directions. The Bench showed satisfaction with the efforts taken by the Bihar Government, which traced 169 missing children within a week of the Court’s orders. The State now has an onus of finding the remaining 464 children within 3 weeks. Solicitor General Ranjit Kumar, appearing for Bihar, submitted that in the last one year, 2,874 cases of missing children were registered and 2,241 children were found and 633 are still missing. The Bench also summoned Chief Secretary of Madhya Pradesh for the State’s failure in finding the missing children. It took note of the fact that out of the 23,000 children that went missing in Madhya Pradesh since 2011, 7,000 still remained untraced. Counsel H.S. Phoolka, representing the NGO Bachpan Bachao Andolan, drew the attention of the court on variation in the figures given in the Rajya Sabha and the ones given in the Court by the State of Chhattisgarh. The Court was informed that while Chhattisgarh says 9,428 children have gone missing but police complaints have been registered in just 1,977 cases. He said that the figures of missing children given in Rajya Sabha answer were more than 11,000. The bench relied on the figures given in the Rajya Sabha answer and stated, "Either you are misleading the parliament or filing a false annexure with the affidavit before the court." It gave Chhattisgarh four weeks' time to trace 1,127 children who were still untraced. It also questioned Chhattisgarh for not registering first information reports (FIRs) in all the cases of missing children and just making diary entries. Chhattisgarh Chief Secretary D.S. Mishra and Director General of Police A.N. Upadhaya were present in court. The Court asked the Centre to respond on the implementation of Standard Operating Procedures (SOPs), formulated by the National Legal Service Authority (NALSA), which need to be adhered to by all States while tracing missing children. Representing the Centre, Additional Solicitor General Tushar Mehta told the court that the government would not be making any changes or deletion in the SOPs suggested by the NALSA and would add a few more if needed. The court gave the Centre a week's time to file its response as it directed the listing of the matter for November 20. The next hearing was fixed for November 13, urging Bihar and Chhattisgarh to report to the Court with necessary amends. The petition was filed by Nobel Laureate Kailash Satyarthi’s NGO, Bachpan Bachao Andolan, contending that more than 1.7 lakh children in the country have gone missing between 2008-10. It also states that many of such incidents are related to trafficking for flesh trade and labour. The Supreme Court, in September, came down heavily on State Governments for their lack of action in cases of missing children. The Court said, “If the missing child is of an aristocratic person or when it comes to people with money, thousands of policemen are there and you trace the child in three days. But if the child of a poor man goes missing, police don’t even register FIR.” Read the LiveLaw story here. In the last one year, 82,101 children have gone missing across India. Over half of them, or 48,688 are from West Bengal while 17,758 are from Uttar Pradesh, according to government figures. Between 2009 and 2011, 236,014 children went missing, and of these, 75,808 remain untraced, according to National Crime Records Bureau data. It’s high time that the issue is dealt with a greater sense of responsibility and vigilance.